Cercis canadensis, the eastern redbud, can be found along the eastern coast of the United States, from Florida to New Jersey, and as far west as Texas. 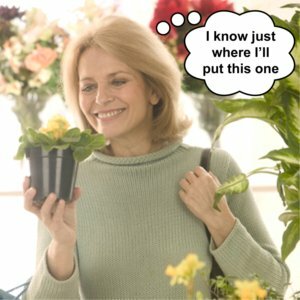 It can handle a variety of growing conditions, and temperatures ranging from -18° F in the winter to the 90°+ F Florida summers. Redbud grows best in direct sun in the northern parts of its range, but grows happily as an understory tree in the south. 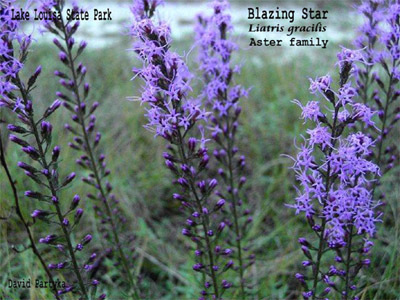 It prefers moist soils and does not do particularly well in salty conditions. If you have ever gone camping, you probably have moved firewood. It is a pretty natural thing to do. However, today, Florida is rapidly loosing an important member of its forest tree and shrub diversity: members of the Lauraceae plant family are being killed by a new pathogen. 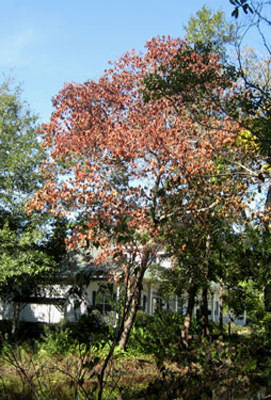 The following trees and shrubs are susceptible to the laurel wilt disease: swampbay (Persea palustris), redbay (Persea borbonia), silkbay (Persea humilis), sassafras (Sassafras albidium), pondspice (Litsea aestivalis) and pondberry (Lindera melissaefolia), the last two are endangered species. Another concern is that avocado is a member of this family and it is also susceptible to the disease. The disease is called laurel wilt and it is spread by a very small, 2 millimeter, beetle that carries a fungal pathogen. When the redbay ambrosia beetle bores into a tree of the Lauraceae it leaves behind some of the fungus and the fungus causes the death of the tree. How does this relate to firewood? 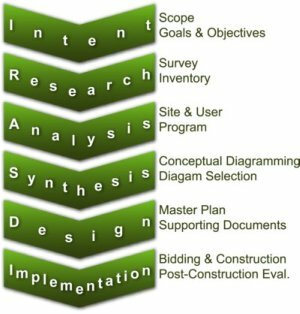 This post is one of a series from Botany professor Nisse Goldberg's students at Jacksonville University. Student authors: Jenell Larsen, Brooke Comans, and Trey Collins. Also known as the erect pricklypear, the shell mound pricklypear is a cactus that grows on shell mounds, coastal hammocks, and dunes. The erect pricklypear is found in the southeast and coastal states of Florida, Alabama, Mississippi, Georgia, Texas, and South Carolina. It prefers sandy, well-drained soil. 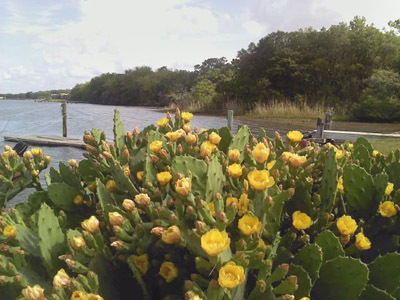 A long-lived plant, the shell mound pricklypear’s first flowers appear when the plant is three years old. 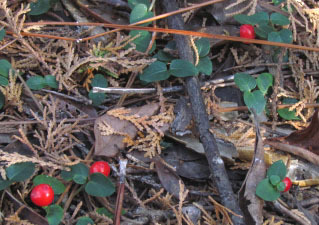 The warm Thanksgiving holiday found my family hiking the Juniper Creek Trail in the Blackwater River State Forest where I spied my favorite little greeting to the holidays, Mitchella repens. Commonly known as partridge berry, twin flower, or squaw vine, this petite, evergreen creeper sports bright red berry-like drupes which cheerfully dot the forest floor through winter. Although not a denizen of my current garden, I have had patches in the past. Partridge berry grows in shady areas with rich, neutral to acid soil in moist to dry areas. Look for it throughout the Panhandle and as far south as central Florida. Mine was in the deep shade of a live oak in the company of shiny blueberries and ferns. I found that it grew as thick as any lawn grass when kept free of smothering oak leaves. Since the stems of partridge berry root like the runners in lawn grass, it was easy to transplant by cutting plugs or rooting cuttings. Our FNPS 2012 Conference "Saving the Heart of Florida" is well into its development phase. We have several exiting venues for our social events, but one of them, Crystal Springs, is special to me because of its beauty and history. We will have exclusive access to this site for our Saturday night social event. Most people think of the Hillsborough River as a blackwater stream, one dark and tea colored due to tannins in the water. We say it begins in the Green Swamps. It does, as seepage and as an overflow from the Withlacoochee River. As such, it is usually a narrow creek that swells to substantial size only during periods of very high rainfall. But the upper river is also a spring-run stream. 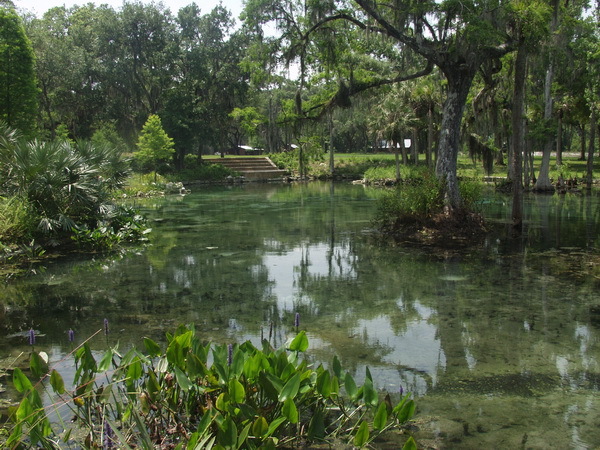 Crystal Spring, a second magnitude spring, provides most of the typical daily flow for the Upper Hillsborough River.